The British Parliament yesterday voted to approve airstrikes against ISIS. By a vote of 397 to 223, Prime Minister David Cameron won approval for his proposal to join the American-led coalition in striking Islamic State targets in Syria. Less than three hours later, four Royal Air Force Tornado strike fighters struck six targets in an ISIS-controlled oilfield in eastern Syria, the first British operation in the region. The British Defense Minister, Michael Fallon, confirmed that addition aircraft were being re-positioned to a British airbase in Cyprus to support and expand ongoing operations. The vote to approve military action won a decisive majority, with 315 of the 322 Conservative Members of Parliament (MPs) voted to approve the action. Labour leader Jeremy Corbyn had attempted to rally his party in opposition to the movement, but was unable to do so, and 66 Labour MPs defected from their party to support the action, but 152 voted against it. President Obama quickly welcomed the decision. What do you think? What do you think should be done to weaken the growing influence of the Islamic State? Will Western intervention be successful? Why? A British investigation into the death of Alexander Litvinenko, a fugitive Russian secret agent who had been granted asylum in the United Kingdom, concluded that the Russian government was likely responsible for Litvinenko’s death. The report confirmed earlier findings by medical investigators who concluded that Litvinenko died after consuming a lethal dose of Polonium 210, a radioactive substance that caused acute radiation poisoning and led to his death. Investigators believe that two Russian agents likely introduced the substance into Litvinenko’s tea at a meeting in October 2006. The agents have refused to cooperate with British authorities and have been extended diplomatic protection by Russian authorities. While Litvinenko’s widow greeted the news with gratitude, it is not clear what options the British government may choose to pursue in response to the findings. Russia is already subject to economic sanctions as a result of their involvement in Ukraine, and European Union officials are hesitant to expand those sanctions for fear that they may adversely affect the EU economy. What do you think? How might the British government respond to developments in the Litvinenko case? The United States and the United Kingdom have long maintained close ties. Since World War II, the two countries have maintained a “Special Relationship” characterized by deeply rooted connections across politics, trade, arts and sciences, government and military operations. But a decision by the British government to join the Chinese-backed Asian Infrastructure Investment Bank (AIIB) appears to be straining that relationship. The AIIB is envisioned by China as an alternative to the other multilateral development institutions, which China asserts are dominated by Western interests. And while China has actively recruited additional countries to join the AIIB, American pressure has led countries like Japan, Australia and South Korea to resist joining. The United State criticized Britain’s decision, which the British government described as being “in-line” with British national interests. But the United States said the British move was made “without any consultation” with the United States, and decried Britain’s “constant accommodation” of Chinese interests. What do you think? Does Britain’s latest move signal the declining importance of the special relationship? What strategy should middle powers like the United Kingdom employ in addressing growing tensions between the United States and China? What is the “National Interest”? 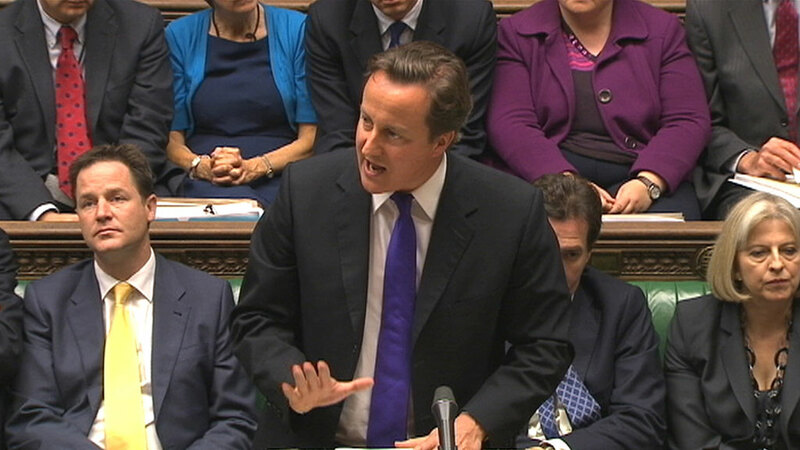 British PM David Cameron makes his case before Parliament. British Prime Minister David Cameron was forced to shelve a proposed strike against Syrian government forces after opposition from his own party in parliament. In his statement to parliament, Prime Minister Cameron asserted that Syria’s use of chemical weapons against its own civilians was “morally indefensible” and “cannot stand.” Cameron asked, “is it in Britain’s national interest in maintaining an international taboo against the use of chemical weapons on the battlefield?” to which he answered, “I would say yes it is.” But the House of Commons, which had been recalled from its summer recess to address the issue, seemed hesitant to embrace his claims and authorize the use of force against Syria. Instead, lawmakers seemed to prefer a more cautious response, delaying action until United Nations weapons inspectors in Syria issue their report to the UN Security Council. US President Barack Obama faces a similar challenge. Having previously described the use of chemical weapons as a “red line” that would prompt a US response, President Obama appears to have painted himself into a corner. While Secretary of Defense Chuck Hagel says the US military is “ready to go” with a strike on Syrian forces, US lawmakers appear to be exercising greater caution, warning the President that any military action would require Congressional approval. Certainly part of the debate centers on war fatigue and the desire to avoid another protracted conflict like the one in Iraq, where the United States, Britain, and other Western powers were drawn in to a decade-long war based on faulty intelligence around Saddam Hussein’s weapons of mass destruction—weapons that proved not to have existed in the first place. But pat of the current debate also stems from differing conceptions of what constitutes “the national interest.” A narrower version argues that no matter how reprehensible the act, American national interest was not threatened by Syria’s use of chemical weapons against its own population. A broader conceptualization argues that there is a national interest in maintaining, as Cameron suggested, a prohibition on the use of chemical weapons anywhere in the world. What do you think? Is a strike against the Syrian government in the US national interest? Should the United States and the United Kingdom take more concrete action against the Syrian regime? Or should they wait for the international community to take action instead? And what if Russia and China veto proposed UN action, as has been suggested they might? Would that necessitate further action by the United States? Take the poll or leave a comment below and let us know what you think. 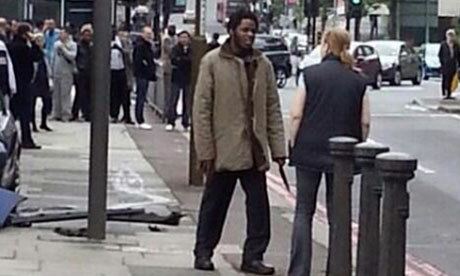 Michael Adebowale, one of the suspects in the Woolwich (London) murder. A British soldier was beheaded in an attack by two Muslims on the streets of London earlier this week. The two men who murdered Lee Rigby, a soldier in the British army, who had served in Afghanistan and Cyprus, were described as Nigerian-British who converted to Islam after college. The attacks have sparked concerns about the threat of reprisal attacks against Muslims in England, and raise concerns about a general anti-Muslim sentiment in Europe. Muslims in Europe were already concerned about laws they perceive as undermining the practice of their faith. While the United Kingdom had historically avoided much of the attention, Muslims in France, Belgium, and the Netherlands had complained of discriminatory laws which they argue impinge on their religious freedoms. A 2004 French law, for example, banned the wearing of the conspicuous display of religious symbols in school, a move which French Muslims claimed was intended to prohibit wearing the burqa or hijab. In 2010, a more expansive law was passed, prohibiting the wearing of face coverings (like the burqa) in public. Belgium and the Netherlands have passed a similar “burqa bans” in public spaces. Such bans have proven wildly popular among the electorates. Even in countries without such prohibitions—like Sweden and Denmark—public opinion polling regularly finds support for such bans exceeding 60 percent of respondents. Why is there so much concern over Islamic religious practices in Europe? Muslims in Europe are a growing and highly visible minority population. Across Europe, approximately 6 percent of the total population is Muslim. Many far-right European political parties have painted immigration—particularly Muslim immigrants—as a threat to the “traditional way of life,” arguing that immigrants pose a threat to national identity. Europe’s current economic instability no doubt contributes as well. And in the United Kingdom, British involvement in Iraq and Afghanistan likely also plays a role. The nature of citizenship in Europe is an important underlying factor. In the United States, citizenship is based on is determined by birthplace. People born in the United States are American citizens, regardless of the citizenship of their parents. In international law, this is referred to as jus soil, the right of the soil. According to the Pew Hispanic Center, about 8 percent of all children born in the United States are born to parents who were not citizens of the United States. Many European countries, by contrast, base citizenship not on birthplace but on the citizenship of the parents. This is referred to as jus sanguinis the right of blood. Children born to German parents, for example, are German citizens regardless of where they were born. People born in Germany to non-German parents, by contrast, do not necessarily receive German citizenship. In the case of Germany, this has created a problem for millions of Turks born to parents who were guestworkers in Germany but who lacked German citizenship. Some observers note that the differing conceptions of citizenship under such a system can help to radicalize the minority population. Because they are not accepted as “true” citizens, members of such minority populations may become more radicalized and embrace violence as a vehicle for addressing perceived grievances. Radicalization, of course, is a far more complicated process than can be attributed to citizenship laws. Indeed, Britain is one of the most diverse countries in Europe, and London, its capital, is among the most diverse cities in the world, and Britain has been more accepting of immigrants—and their diverse identities—than has been the case in many other countries. What do you think? What is the most important factor in explaining the radicalization of minority populations? Does citizenship play a role? Is citizenship and inclusion more important than economic factors? And what do you think will happen in Europe as Islam continues to grow as a minority religion? Take the poll or leave a comment below and let us know what you think. 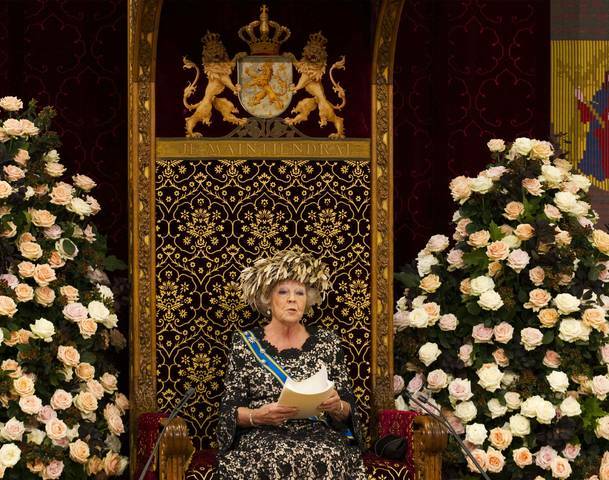 The Netherland’s Queen Beatrix Addressing Parliament. The Netherland’s Queen Beatrix last week abdicated her position, handing the monarchy to her son, Willem-Alexander. Her decision was seen as both unexpected and usual, bucking the trend of other European monarchs, such as those in Spain, Belgium, Sweden, and Denmark, which have held on to power despite personal and political challenges. While far more popular than her son, it is unlikely that Queen Beatrix’s resignation will have any lasting effect on Dutch politics. But what exactly do kings and queens do? Many European countries retain a hereditary monarchy by tradition. The functions of the executive, which are fused into a single office in the United States, are separated into two offices under these systems. The monarch usually serves as the ceremonial head of state, while a president or prime minister serves as the head of government. 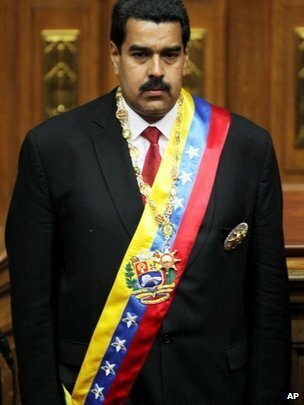 The responsibilities of the head of state are largely symbolic; real power is vested in the head of government. In the United Kingdom, for example, Queen Elizabeth is the ceremonial head of state, while Prime Minister David Cameron is the active head of government. Queen Elizabeth performs public duties like opening parliament and receiving ambassadors, while David Cameron performs the real governing, introducing legislation, making policy decisions, and so on. The separation of the two positions carries some advantages. In countries like Belgium, where language politics have created strong divisions within the country and made governance (at least at the national level) effectively impossible, a ceremonial head of state (King Albert II) can provide a sense of continuity and acts as a symbol of national unity. There are also some who argue that the separation of the two positions creates additional checks on the power of the government. In the United Kingdom, for example, Queen Elizabeth II must give “royal assent” (approval) to all legislation passed by parliament. While royal ascent has not been withheld in Great Britain since the 1700s, it has been denied more recently in some former British colonies. Canada’s Governor General (the Queen’s representative in Canada), denied royal assent to a bill in 1963. Despite its rare usage, many groups lobby the Queen to deny royal assent on measures they oppose. Spain’s King Juan Carlos Safaris in Botswana. political leaders. 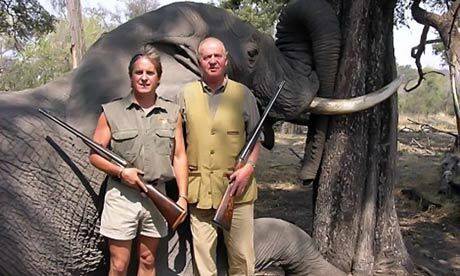 Take, for example, Spain’s King Juan Carlos’s decision last year to participate in a €10,000-a-day hunting safari in Botswana as the country’s struggled with an ongoing economic crisis and an unemployment rate reaching 30 percent—hardly the image Spain wanted to project at the time. What do you think? Does the division of executive power into multiple offices establish a stronger, more effective, or more democratic government? Or does it merely create greater opportunity for corruption and uncertainty? Would support the creation of a separate head of state in the United States? Take the poll below or leave a comment and let us know what you think?